This beautifully remastered home sits on a 1.56 acre waterfront lot on a secluded cul-de-sac conveniently located in Otranto. The four-car garage and large driveway offer plenty of parking. As you enter you'll see beautiful waterfront views. 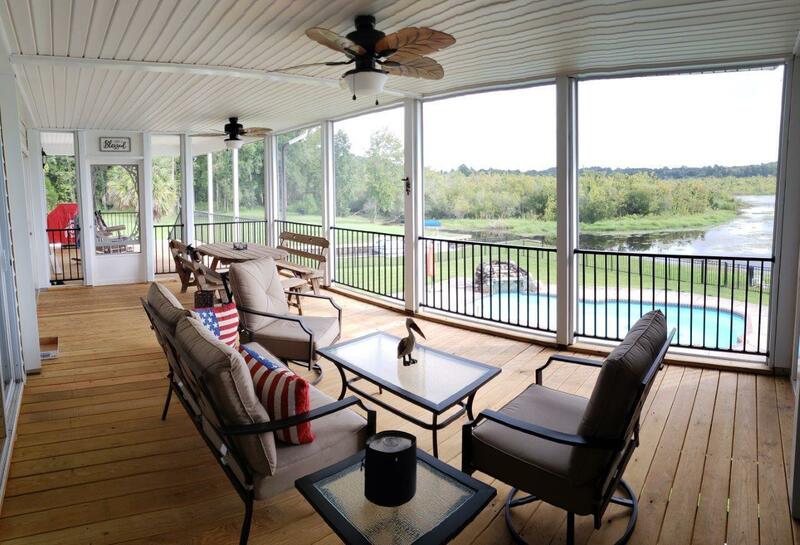 Enjoy a summer sunrise on the screened back porch and cool evenings in front of the family room fireplace. Newer stainless-steel appliances, large pantry and intercom/music throughout. Stylish barn doors welcome you to the office or formal dining room. The master retreat will pamper you with stunning views, barn doors, a large closet and master bath. Two more bedrooms also on first level. A media room on the upper level with a wet bar. New AC/heating units. Tankless water heaters, with in-ground pool. The property features a private, paved boat ramp.